A dosing pump is a small, positive displacement pump. 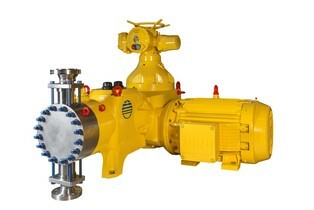 It is designed to pump a very precise flow rate of a chemical or substance into either a water, steam or gas flow. Dosing pumps are used in a variety of applications from agriculture, water treatment, industry etc., Green Water Concepts supply various brands of chemical dosing pumps. GWC supply dosing pumps of Milton Roy, Kanakadhara, I-dose etc.